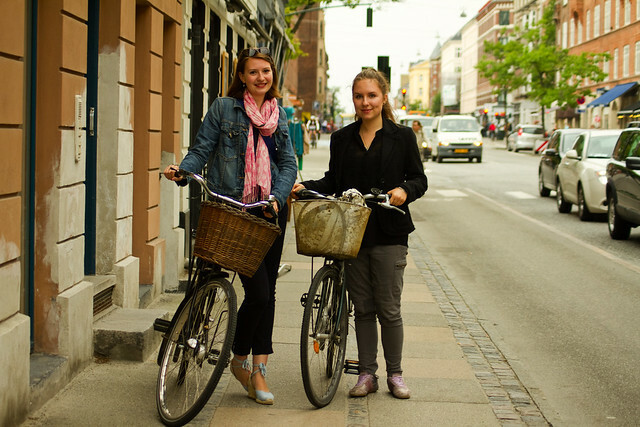 My name's Kristina and I'm interning with Copenhagenize for summer 2013. I grew up in West London and am currently a student at the University of Manchester. 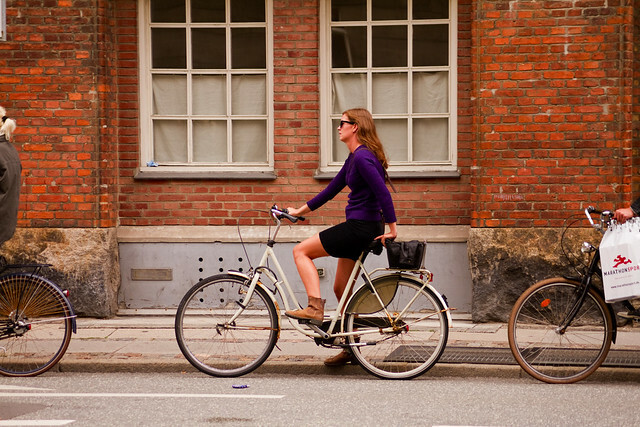 I took a gap year (which may have turned into gap years...) in Copenhagen before starting university. 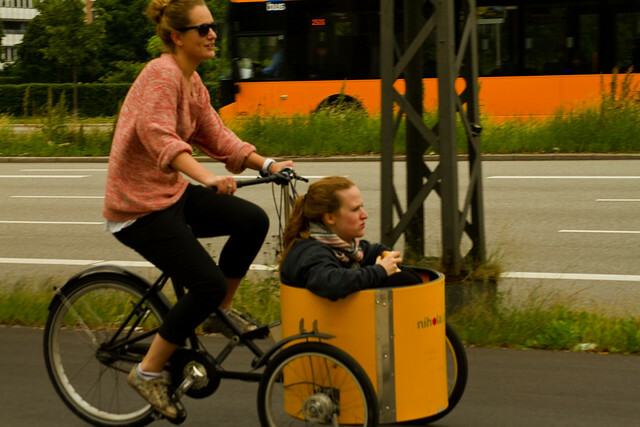 Only upon starting uni did I realise how ingrained the cycling lifestyle had become in me. 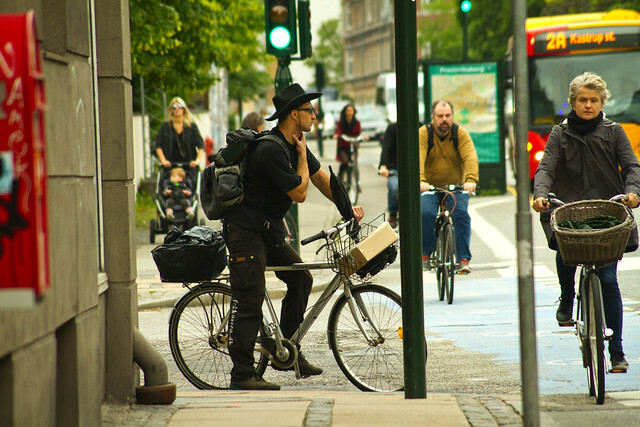 Now I'm back in Copenhagen and hitting the streets to find out what the latest cycling trends are. 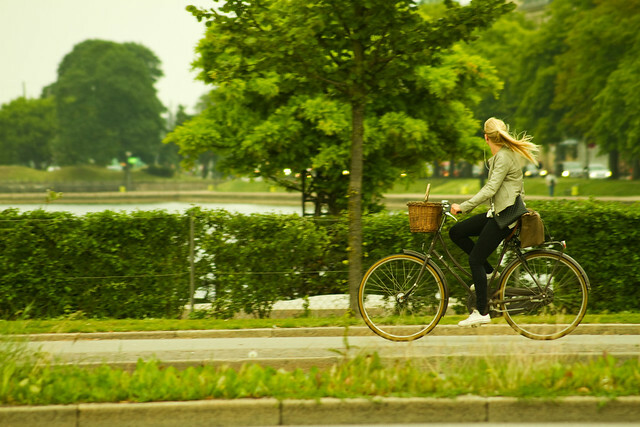 It's the beginning of July and two girls can be seen here taking their bikes out for a stroll in Frederiksberg. No summer dresses to be seen as even the Danish summer has gone on vacation. However the girls show how to keep it casual in the cool. 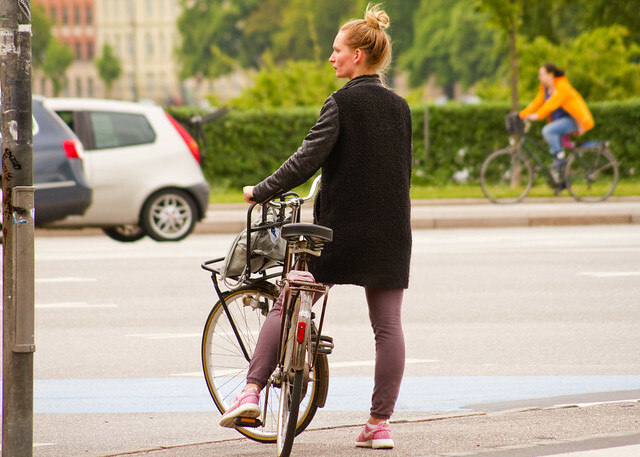 Casual Copenhagen look. Keepin' it simple. Keepin' it chic. Colourful sneakers. Check. Hair bun. Check. Bang on trend. Someone's pimped out their ride...check out that colour combination! So that sums up my first day on the job.